Daylee Hanson’s game-high 12 points led defending 1A champs King’s past Bellevue Christian in an exciting regional match-up with a trip to Yakima on the line. A strong start for the Knights was met with a long rally for the Vikings which extended into the third quarter. 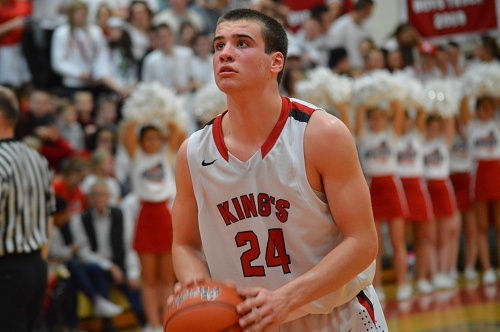 King’s regained the lead late in the third quarter after a technical foul garnered multiple free throws for King’s. The Knights clung to a narrow lead as the end of regulation quickly approached when Bellevue Christian made their move. Nicole Bloch led the charge with 10 points as the Bellevue Christian deficit shrunk. A late turnover by KHS gave the Viks a chance tie the game up. 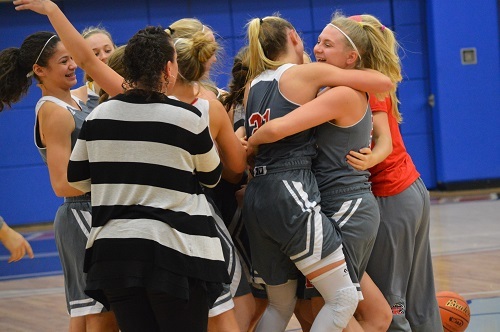 Rachel Berg lofted up a three-pointer to draw the score even, but the ball lodged itself between the rim and backboard which turned the ball back over to King’s and eventually allowed the Knights to hang on for a four point victory. King’s 34, Bellevue Christian 30. The Cascade leaders in King’s hosted the Granite Falls Tigers on Tuesday night to push their league record to a perfect 7-0. GFHS is amidst a mid-pack battle in the division and this game against the Knights would serve as a golden opportunity to elevate their position in the standings. It would require a valiant effort considering the size mismatch on the court and in number of available players. 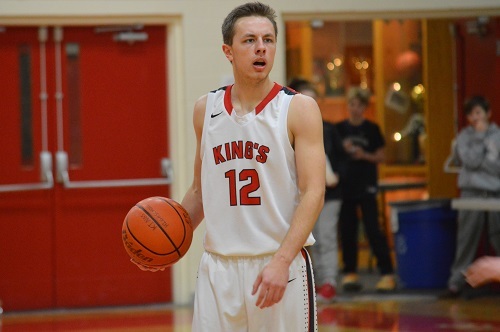 An alley-oop attempt in the opening seconds to King’s Corey Kispert which rimmed out was met with the opening points in the game for the visitors. The Knights countered with a flurry of Kispert triples as the junior sharp-shooter buried five from downtown in the first quarter as part of a game-high 32 points. Granite Falls put the clamps down in the second frame defensively by outscoring the Knights 11 to 9 through contributions of Simon Angel and Brad Hills. At the break, the KHS was cut down to 14 at 36-22. The opening minutes of the second half determined the fate of the game as a double-digit run cemented King’s path to victory. 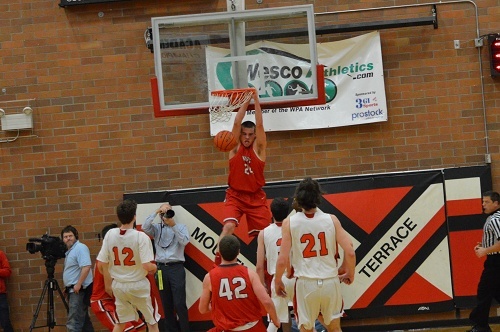 Cole Mitchell and Kispert rocked the rim with a pair of dunks to highlight the 23 point quarter. The Tigers battled down the stretch and once again outscored King’s in the final frame 13-9. Despite the losing cause, Andy Estes will likely have several positive takeaways from the Tigers effort. Meanwhile, King’s continues to defend their state title with another win in a strong season. King’s 68, Granite Falls 44. Game two of state title Saturday was a clash of nobility as the Royal Knights from near Yakima would face the King’s Knights based out of Shoreline. Royal bulldozed through their entire schedule as the only game within one possession was against Connell in mid-October who they decimated in the semifinal round 47-7. 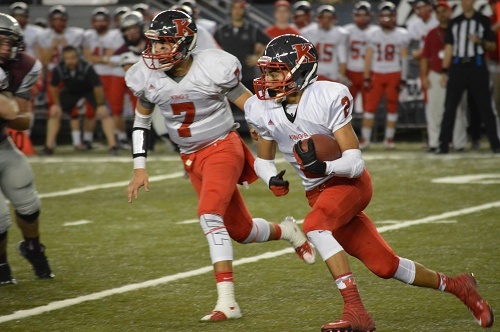 For King’s, the return of senior quarterback Koa Wilkins had given Jim Shapiro’s team a huge boost in the playoffs. Only one team could wear the crown, would Royal finish the season undefeated or would King’s continue their hot streak? 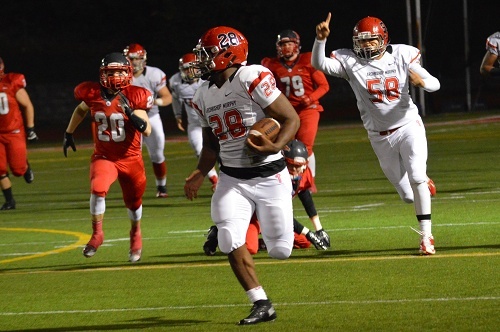 Royal received the opening kickoff and marched to the endzone in under three minutes culminating in a 10-yard Joseph Lang scamper. King’s was on the move to even the score, but Lang jumped in the passing lane for an interception. Royal proceeded to matriculate the ball into King’s territory and cap the drive off with Lang’s second touchdown. King’s offensive woes continued for the duration of the first half as they were limited to 138 total yards and no points to show for it. Before the break, Royal took a three possession lead when Kaden Jenks ran it in from eight yards out. King’s dug themselves a big hole with a three-touchdown deficit heading into the break, could Coach Shapiro make the necessary adjustments to spark a comeback? King’s received the second half kickoff and did exactly what they needed to shift the momentum back in their direction. The westside Knights marched down the field and after 12 plays and 72 yards, they scored for the first time in the game. Caleb Perry burst through the King’s defense for a 3 yard touchdown. The KHS defense stepped up by blanking Royal in the third quarter. The game was still in the balance heading into the fourth. As the clock was starting to wind down in the final frame, King’s was on the move and in position to bring the game to one possession. Joseph Lang put an exclamation point on his already huge game by intercepting a pass and taking it 58 yards to the house. Kaden Jenks picked off a pass shortly thereafter and the Royal sideline began to celebrate. Wiley Allred led his team to a perfect 14-0 season. 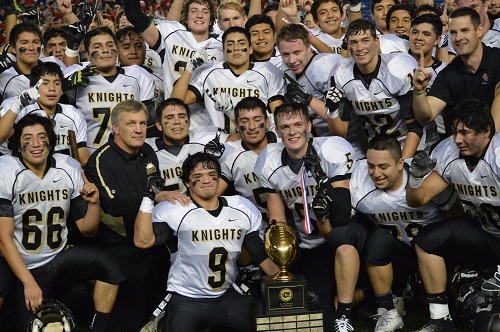 Congratulations to the Royal Knights on their first championship since 2005! Being battle tested during the regular season pays dividends at this stage of the season. 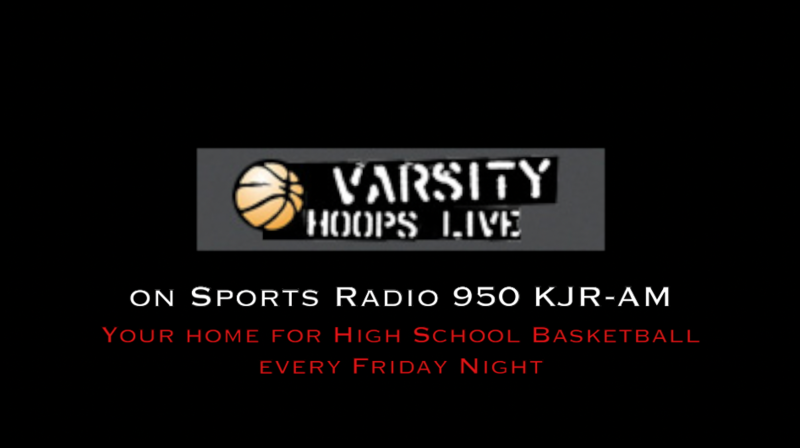 Coach Jim Shapiro’s tough schedule including games against Lynden and Archbishop Murphy have prepared the Knights for the state’s best in 1A. Montesano, who has knocked King’s out of the playoffs was the willing challenger for a ticket to the championship game. King’s dominated this game across the board statistically including 395 to 160 total yards, 22 to 10 first downs, and 29:24 to 18:36 time of possession for King’s and Montesano respectively. However, the scoreboard did not reflect this fact. Back to back Knight touchdowns in the second quarter by Edmund Sundquist and Andrew Cline were quickly countered with a 97 yard kickoff return by Kylar Prante. Koa Wilkins extended the lead back to two touchdowns before the half on a goal line dive with mere seconds remaining. Montesano’s attempt to climb back into the contest started with a Connor Lovell field goal early in the third. It was followed with a pick six by Keegan Darst minutes later which appeared to begin the momentum shift that could propel the Bulldogs to a win. However, Koa Wilkins led the troops down the field and converted another 1 yard quarterback sneak for a touchdown. Trailing ten points with five minutes to go, Monte was in desperation mode. 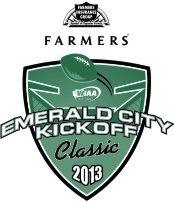 They were able to cut the lead to a field goal with ninety seconds left when Logan Truax pulled in a Jake Herzog pass. A good-looking onside kick that simply wasn’t recovered by the defense was the final straw that allowed King’s to line up in victory formation. In the face of adversity, friends and family that come together are able to respond in a positive way. The King’s Knights experienced a frightening moment last week after winning a league title when their team bus flipped and injured a number of players. Thankfully, tragedy was averted as minor injuries were the extent of the crash. With more basketball to be played, the King’s High School community rallied around their team to continue their quest for a state championship. 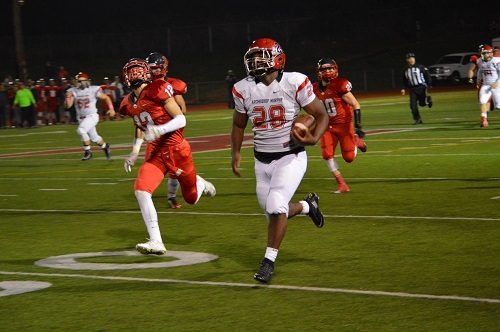 However, there was a challenger from Capitol Hill in the Seattle Academy Cardinals that was hungry for a district title on Friday night at Mountlake Terrace. Both teams already punched their tickets to the big dance, but important seeding implications were at stake. The enormous King’s crowd with “Saved for a Reason” emblazoned on their tee shirts had plenty to cheer about early when the Knights built a double digit lead before the Cards registered their first points. Calvin Kispert’s 5-0 run to open the ballgame fired up Coach Skeen’s bench. Trailing by a baker’s dozen after one quarter, Seattle Academy needed to find a rhythm to erase the early deficit. More of the same continued in the second frame as the lead ballooned to nearly twenty points. The Cardinals’ inability to challenge the interior defense of KHS prevented them from finding high-percentage attempts in the paint. The commitment to isolation and jump-shooting was evident by SAS and in the first half, it led to a 16 point deficit heading into the locker room. Early in the second half, the Cardinals continued to go to the three-point well in the hopes to claw their way back into the game. Eventually, the strategy paid dividends when some shots fell and the lead shrunk back to 11 at 30-19. Up to this point, King’s had left quite a bit on the table as the lead certainly could have been 25 or more without missed opportunities and unnecessary turnovers. This proved not to haunt the Knight’s because they emerged from the called timeout on a 10-2 run. Leading by 18 with one quarter to go, the outcome of the game was sealed. King’s retained their double digit lead in the final frame to earn the victory and hoist the hardware for the District 1/2 1A title.